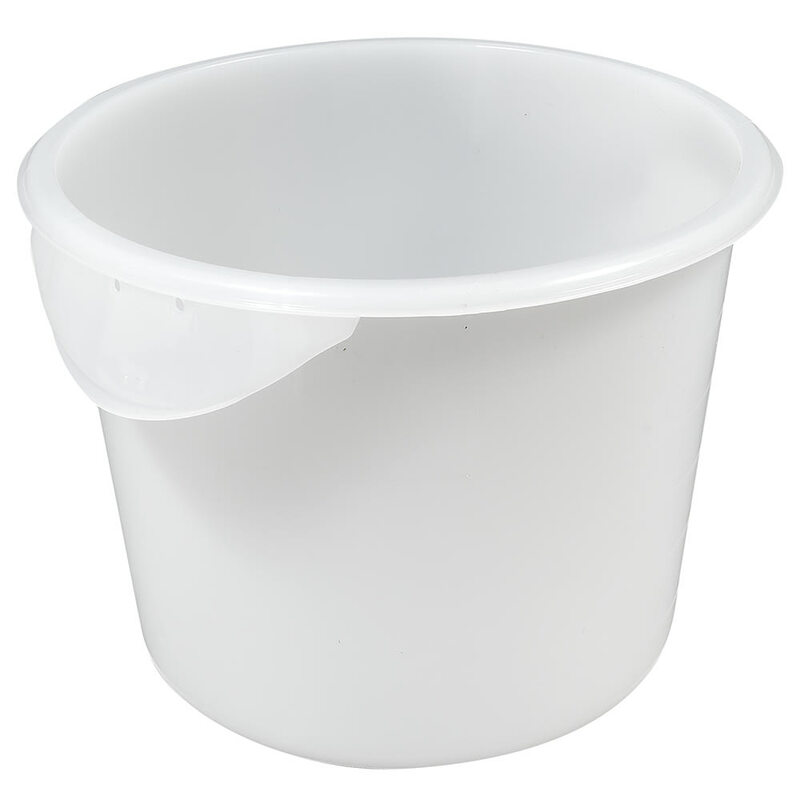 The Rubbermaid FG572300WHT round storage container can hold as much as 6 quarts, withstand temperatures ranging from -20 to 212 degrees Fahrenheit, and be cleaned in the warewasher. 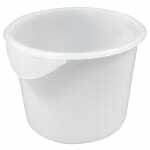 To maximize storage space, the white polyethylene container can stack with others the same size. We break down the features of containers like this in the storage containers buyers' guide.